This is a library resource guide for GIS.There are several departments on campus which use GIS. They include but are not limited to Geography, Earth Sciences, Environmental Studies, History, Biological Sciences and Economics. Esri offers 2 summer programs for interested undergraduate and graduate students. Click here for more information. The deadline is usually mid-March. This page also lists other opportunities around the country. Want to see what conferences are happening around geospatial information and processes? Here is a list of regional, national and international user conferences centered on ESRI. Looking to showcase your geospatial skills? Enter the 2016 Geospatial Skills Competition. Looking for data to use in ArcGIS software? Click here. Looking for Remote Sensing? Click here. Looking for maps? Click here. Looking for Geography? Click here. A Dictionary of Geography defines a Geographic Information System (GIS) as an integrated, spatial, data-handling programmes which will collect, store, and retrieve spatial data from the real world. 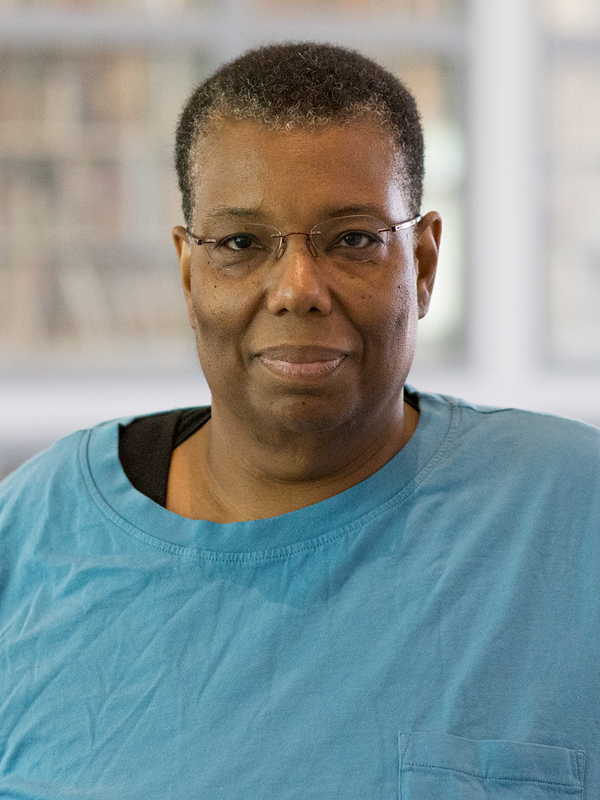 They are powerful tools in decision-making, as they can incorporate coordinated data. GIS only contain selected data—the properties which investigators have considered relevant—so that many variables will not be fed into the systems. Miller ( 2007 Geog. Compass 1, 3) calls for a people-based GIS, built on classic time geography, calculating entities and relationships between transport networks, at high resolution and in virtual space. See C. P. Lo and A. Yeung ( 2007 ) on GIS and spatial problem-solving. This web site is courtesy of ESRI, the creator of the software ArcGIS and ArcExplorer. They want you to use their software, so they do provide you reasons and instruction for using it. From GISlounge.com which is an information portal for GIS. 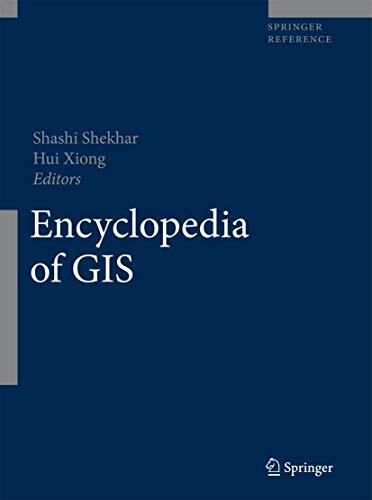 Encyclopedia of GIS by Shashi Shekhar & Hui Xiong, eds. 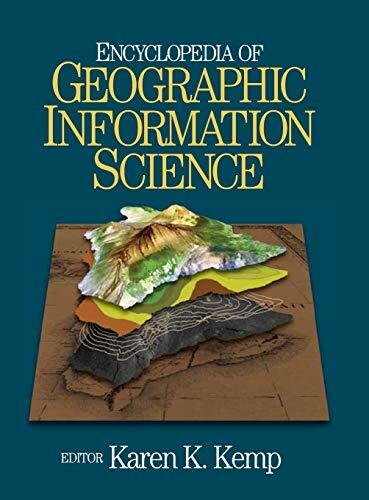 Encyclopedia of geographic information science by Karen K. Kemp, ed. The major article index for all things "geographic." This index is good for articles discussing the practical or real life applications of geographic information systems. You can find articles on how companies and government agencies are using GIS in their day to day activities. Provides full-text access to IEEE transactions, IEEE and IEE journals, magazines, and conference proceedings published since 1988, and all current IEEE standards; brings additional search and access features to IEEE/IEE electronic library users. ACM Portal is a searchable, browsable, bibliographic database from the key publishers in computing, including books, journals, proceedings and theses. Online magazine about GIS, surveying and mapping. Geospatial Information & Technology Association. Want an easy way to keep up with the journal literature for Cartography or GIS? And do you use a mobile device? You can install the BrowZine app and create a custom Bookshelf of your favorite journal titles. Then you will get the Table of Contents (ToCs) of your favorite journals automatically delivered to you when they become available. Once you have the ToC's you can download and read the articles you want. You can get the app from the App Store or Google Play. Don't own or use a mobile device? You can still use BrowZine! It's now available in a web version. You can get to it here. The web version works the same way as the app version. Find the journals you like, create a custom Bookshelf, get ToCs and read the articles you want.